Have you been experiencing an outage with your ISP or at your site host? I started noticing slow sites over the weekend and then started seeing downtime reports at two hosts on Monday. Friends reported Comcast down issues too. According to the Down Detector site, we hit a Level 3 outage that is affecting most of the U.S. primarily in the north, and east of the Mississippi. Tech Crunch has also reported that Comcast’s service is down primarily in the same regions. So, it’s not just you or your host or CloudFlare. I haven’t seen any reports of major botnet attacks, so may just be hardware issues. I hope you’ve had a chance to see the results of the head-to-head comment reply notification plugins we tested through the month of October. There were definitely 3 winners. I’m delighted to finally have one of these on BlogAid too!!! There were so many times when I knew the person leaving a comment would want to know about my reply. I’m thrilled they can get that via email now. Webmasters, my full case study notes have been added to the Level 6 Bonus section, so look for those if you want to see screenshots of all the settings and tweaks I made, plus all of the database and speed info too. I’ll have tutorial posts on the 3 winning plugins for you as soon as I can. This weekend I took a little time off from client work and started the revamp of the DIY SEO course. I began with the Yoast SEO plugin tutorials. They are all squared away now. The first 3-4 of them were all that needed updating. Next, I’ll be updating the Google Connections section for the new HTTPS considerations. Webmasters, I’ll be updating your tutorials for that as well. And then I’ll get to work on the next SEO Workshop, which is slated for January, plus new courses that I’ll be announcing in the next few weeks. I’ve already sent word to those currently in the DIY SEO course about what’s coming and I know they are as excited as I am! Last week I had started on the new WP Rocket tutorials too. Since the plugin’s last overhaul, it works very well as a page cacher with the default settings right out of the box. Of course, I wanted to dig deeper into tweaking the settings to see how much better I could make it function and I discovered something interesting. During recent site audits including a check on BlogAid, I’ve noticed an increase in hits on the non HTTPS port plus an increase with the host pinging itself. I chalked most of that up to HTTPS redirects until I started these new caching tests on WP Rocket. 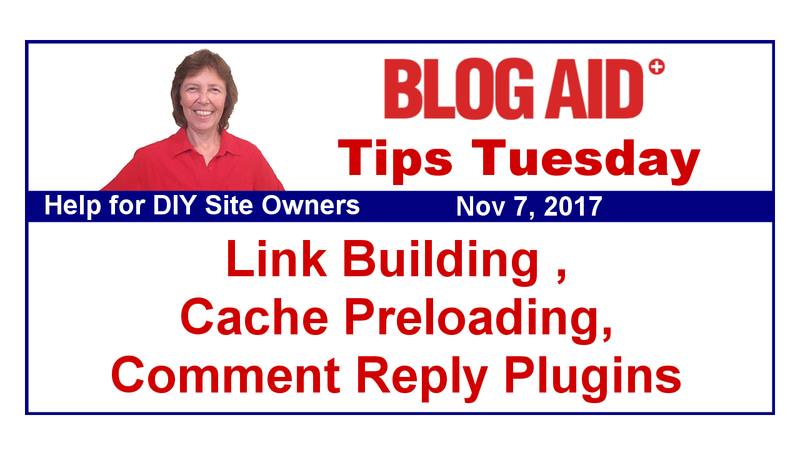 Some caching plugins are not HTTPS aware and they are hitting the site doubly hard by preloading both the HTTP and HTTPS version of pages. WP Rocket is HTTP/S aware. So, I’m going to need run special tests to check into the preloading aspect of all caching plugins I tested to see how they do. Getting this double hit thing in so many ways is also driving up resource usage at our hosts, and there is a definite ceiling on that, especially on shared. We just don’t have the headroom for all these extra internal hits. Plus, heavily trafficked sites shouldn’t have preload turned on anyway, as you don’t need it. It’s super important to know how to properly configure your caching plugin for your site traffic and the type of host that you’re on. So, definitely worth my time to look into it deeper. I found something seriously disturbing during recent HTTPS conversions and site audits for two clients using the Monumetric Ad network. On the first one, while checking for mixed media after the conversion, I saw ads with Cross Site Scripting (XSS) code. The only other time I’ve seen that type of code was in a security vulnerability or malicious hack attack. On the second client site, I saw one of those ads in action. My browser went completely red with a warning screen and even started beeping at me that this site was so dangerous I needed to leave immediately. I had to reboot my PC to get out of it. Both clients said they had reports from site visitors of this before. And now we have proof that it is indeed the Monumetric ads. So, if you’re on that ad network, definitely check with them about this. Both of my clients have had their ads removed. The company has asked who found the security issues and asked to speak with them. I don’t know if I will, since neither of my clients have code samples for me to send them anymore. And it bothers me that they asked for someone else to provide proof instead of screening their own ads themselves. That’s all the news around here. Let’s jump into this week’s tips. This means that they have stopped making changes and are now focused on bug fixes. I’ll be having a deep look at what’s in the new release by the weekend, as we get closer to the public release, which is slated for Nov 14. I’m glad to see this. The PressThis function that nobody uses anymore is finally coming out of the WP core code when 4.9 releases. It has been relegated to a plugin now. So, if you have any plugins that still depend on it, you may have to reinstall it. But most site owners will never know it’s gone. Now, this coming change in 4.9 might affect some plugins you use for embedding media. MediaElement code has been in core for some time. And there are a lot of plugins that use it instead of installing their own code. In WP 4.9, all jQuery dependencies will be removed from MediaElement. They also dropped support for older browsers. And they upgraded YouTube and Vimeo renderers to use new APIs. Plus, there is new support for mobile for media coming from HTTPS sites. Hopefully your plugins have already updated if they use any of those functions. I’m so glad to see this discussion, and I hope they extend it to take out all iFrame use in WP. iFrames dropped out of vogue over 5 years ago. And why they went back to it for Gutenberg would be a mystery, except for the fact that iFrames are in use in so many other WP places, like the Customizer, which is directly tied into this current revolution WP is making. It’s also used on the updates pages for plugins, themes, and WP itself. This is what keeps us from using the iFrame security header that would stop cyber thieves from iFrame embedding our content in their own sites too. And that’s primarily why I hope they extend this discussion past the new text editor needs. One of the biggest SEO boosts is, and probably always will be, quality backlinks. Check out this post on SEM Rush for the top 5 link building methods for 2018. I’m not kidding. Go check it out. If you’ve been relying heavily on one or two platforms for all of your traffic, you need to get serious about diversifying your portfolio for 2018 because big changes are coming. That means you need to start this process now, as it will take 6-8 months to build. Once those changes hit, you’ll already be established. If you run a biz that depends on foot traffic, you most definitely want to check out this post from Moz. Anything you can do to display higher in Google search is going to mean more biz for you. Has your audience changed without you even knowing it? I didn’t realize how much until I ran a Facebook ad. I set my target audience for what Google Analytics tells me about who visits the site. And then, just for fun, I ran the same ad to a younger audience. New traffic started pouring in. I had no idea that Millennials were so interested in my content. But they are the up and coming bloggers and eager to try new things and new tech that more established bloggers say they don’t have time for. If the Millennials who have come through my training classes are any indication of the norm for this age group, they are going to surpass the more established bloggers in less than a year. If you are an established blogger, wake up!! You need to get out of your rut and try new things. That includes writing for a younger audience because they dominate the online scene now. Check out this post on the Higher Visibility Blog to learn how to write for Gen X and Gen Y audiences. And keep in mind that their peers are already writing for them, and those are the folks who are going to take over the web in the coming years.